Xanadu Beauty clinic is owned and managed by Allison Adam who has over 20 years of experience working in the beauty industry. 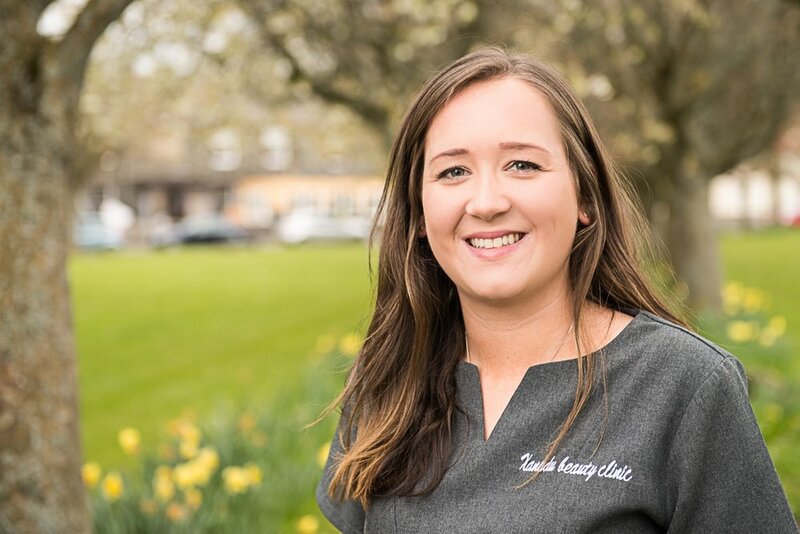 As well as other positions, she was one of the training managers working with new therapists at Stobo Castle before embarking on her new venture at Xanadu. The salon took off quicker than expected and after just one year on her own in the salon Allison was joined by Vicky Blaik and just a couple of years later Sammy Walker and more recently our newest member of the team Heather Waddell. As a team, we all work very well together and aim to create a very relaxing and welcoming atmosphere for clients to come in and join us. We are still waiting on Allison's bio - check back soon! Heather has been in the industry for almost 17 years and is qualified in SVQ level 2&3 Beauty Therapy at Borders College and throughout her career gained various further qualifications. Heather started her job at Xanadu beauty clinic in 2016. She is very passionate about her profession and enjoys all aspects of the job. Heather loves meeting new people and getting to know her regular clients. She enjoys a variation of treatments, especially nails, facials and make-up. Heather’s number one goal is for the client to enjoy their experience in the salon and for them to leave feeling completely pampered and satisfied with the treatment. We are still waiting on Sammy''s bio - check back soon! Vicky joined Allison in the salon in 2011 after completing her Beauty training at the prestigious Mary Reid Spa Academy. Vicky initially started work part time, as she was still attending college to complete the body treatment side of her training. After going full time at the salon, Vicky really settled in and loved getting to know all of the clients. After 6 years, Vicky still relishes working in the salon and loves being part of a really great team of girls. Vicky enjoys all of the treatments in the salon, including nails, facials and massages. The treatment that Vicky enjoys offering most is a luxury pedicure – making sure that all of her clients leave the salon de-stressed, relaxed and pampered.